Why? Because it’s freaking snowing here and I can’t even stand it. 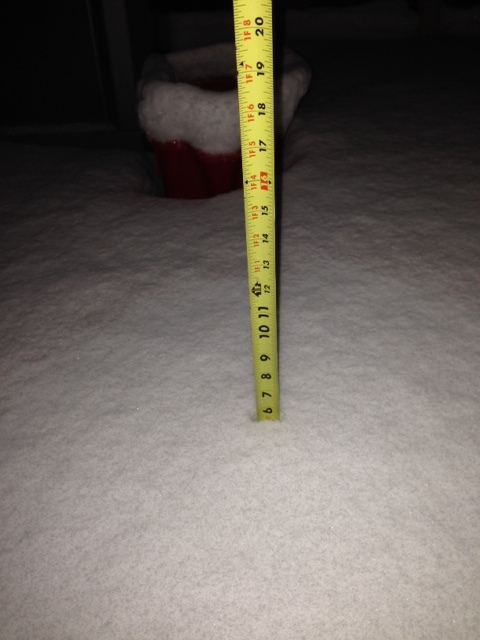 It’s probably up to about 7 inches on the patio now. We’re almost to the point where we have to put a flag on the beagle so we don’t lose him in the backyard. Funny story: Tyler and I took the pups for a walk together the other day and we were noticing quite a few different smells. First, it was barbecue, then apple pie, yadda yadda, then I go: “Oof, now it smells like skunk” and Tyler goes “Yeah, it’s weed” And about 5 minutes later I go “OOOH.. Like the DRUG?! !” See, I’m stupid. But I laughed about it a lot when we got home. I scrubbed the bath mat this weekend. THOSE THINGS ARE GROSS. And yes, that requires all caps because um…..go pull up the mat in your tub and find out. I then left said mat out on the patio railing to dry in the 80 degree heat we had yesterday. It’s currently frozen under a foot of snow. 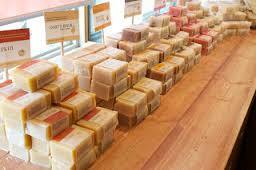 My latest favorite thing in the world: All the Rocky Mountain Soap Company soaps. I just recently picked up a bar of Minty Tea Tree and Cinnamon. I also got the Bamboo scrub because it’s like…heaven. That’s all I have for tonight, see ya later! On a lighter note, guess what?! I finally signed up for the Pineapple Challenge!! My friend Susie works for the Leukemia & Lymphoma Society of Canada and is planning the event for Calgary to be held on June 14th. “The event” being a crazy/silly obstacle course for teams to get through- while wearing silly costumes. COUNT ME IN. Also- we’re doing this for a great cause, so um…how could I say no? There are over 100,000 people living with, or in remission from, a blood cancer in Canada. Someone will be diagnosed with a blood cancer every 29 minutes in Canada. And one person every 76 minutes will die. Funds raised through the Pineapple Challenge support research, patient services, and education in our fight to find a cure for blood cancers. All dollars raised for this event support The Leukemia & Lymphoma Society of Canada’s (LLSC) vital mission: find a cure for leukemia, lymphoma, Hodgkin’s disease and myeloma and to improve the quality of life for patients and their families. Beyond the Pineapple Challenge, The Leukemia & Lymphoma Society of Canada also has various other events which help support the mission. If you check out the website, there are other events that you can choose to donate to, or even participate. PS: Me, Tyler, Susie, her partner in crime, and a few others have formed a team called the Prancercisers. Yup, because there will most definitely be prancing at some point during this obstacle course. Maybe it’ll only be me. 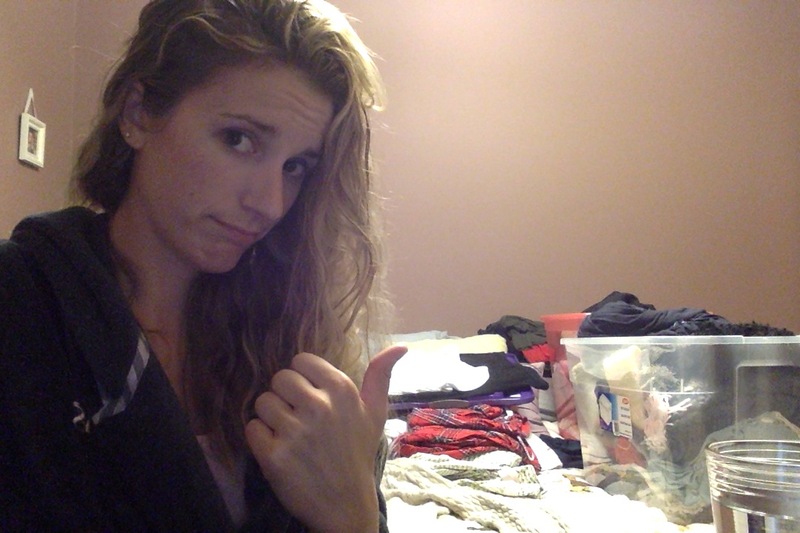 Here’s where I humbly get on my knees and ask if you’re interested in donating towards my fundraising efforts. I’ve set a goal of raising $250, so please don’t think you have to unload your whole paycheck for me. Unless you want to. Then I’ll bake you cookies or something. If you click on the link below, it will take you to my fundraising page for the event, where you can choose how much to give. 50 cents? A dolla? A dolla makes me holla. Pineapple Challenge 2014. <–click here to check out the event and donate towards my fundraising goal! 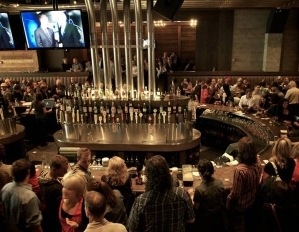 Craft- They have the most selection of beer on tap and their food is local. And good. Sitting at the bar is nice as most barstaff are friendly. 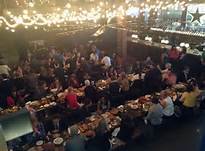 However, the atmosphere (say, on a Friday night) mostly consists of middle-aged groups and socializing is near impossible. Socializing meaning: single people trying to pick up other single people. Me- I don’t have that problem (Insert: husband). National- (One location is directly next door to Craft–and has a downstairs bowling alley!- and the other is on 17th Ave.) They also have a nice selection of beer, with a pretty unique TV display of what’s currently available (think: airport arrival/departure screens). The food is also pretty good and the layout consists of several long, solid picnic-like tables. This makes for good socializing. Brewster’s– Their food is consistantly good. There is never a mishap with an order or with service. 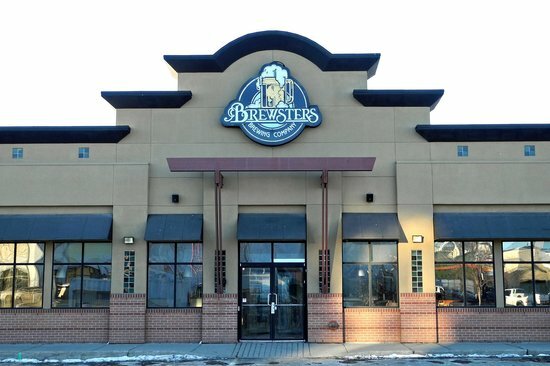 Since they brew their own beer on site, we have noticed that the taste can vary from visit to visit, but then we know it’s authentic! We love that they have a location super close to our house, too. 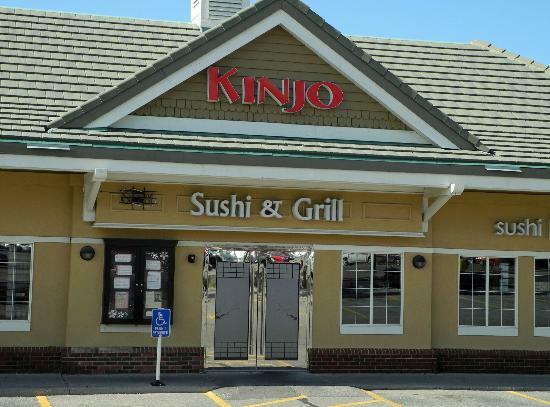 Kinjo– really good sushi. 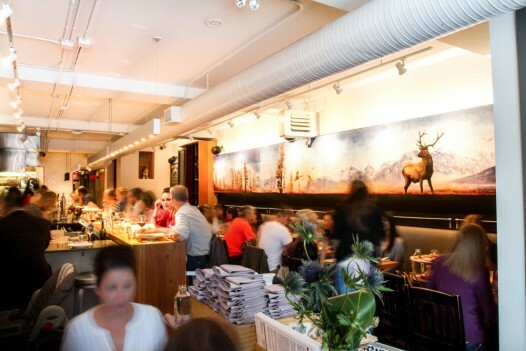 The place is always buzzing and the servers are quick and cheery. It’s also a great bang-for-your-buck type place. I especially like that you can see the food being prepared. And the nice man always gives me chocolate before we leave. 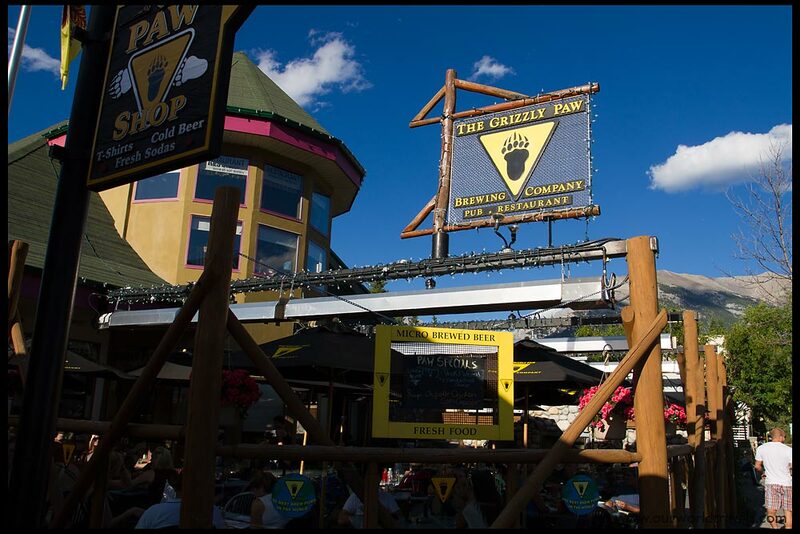 Grizzly Paw– FAVORITE place to go in Canmore. Their food is amazing, the patio is an EXCELLENT spot to view the nearby mountains/people/dog watch, and their beer is one of my favorites ever. I only wished I lived in Canmore (Cough, cough, JO I’M JEALOUS OF YOU) so I could frequent the place more often. PS: They took their fried pickles off their menu, but we asked a server and he said you can still order them. BEST FRIED PICKLES EVER. Especially with their beer. 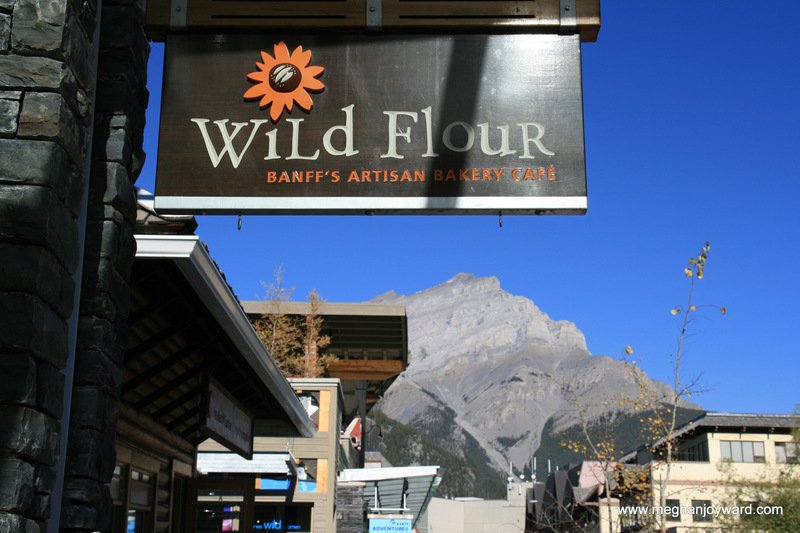 Wild Flour- A great little bakery/cafe in Banff. Their food is fresh and healthy and the vibe is pretty chill. It’s always crowded in there with all sorts of people. Bathrooms aren’t labeled ‘men’ and ‘women,’ but rather ‘Humans” (or was it Homo Sapiens? Either way, I always get a good chuckle). I’ve only ever ordered sandwiches and wraps, but I’m determined to get a brownie next time. 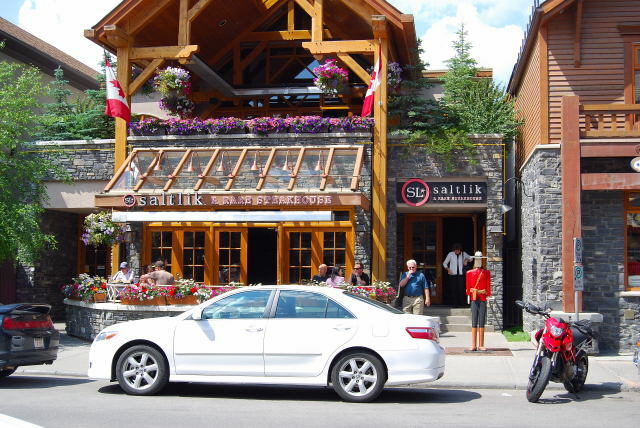 Saltlik- NOTE: There are 2 Saltlik’s- one in Calgary and one in Banff. No offense Calgary location, but you ain’t got NOTHING on the Banff spot. The cocktail menu is pretty delicious (I’ve had everything on it) and their food is PHENOM. I always order the filet mignon with a side of asparagus (or broccoli) and scalloped potatoes. Best place to splurge ever. Calgary Farmer’s Market- I love me some local goodies. And this place isn’t your typical tent/parking lot market. It’s an actual building that runs year round, Thurs-Sun. 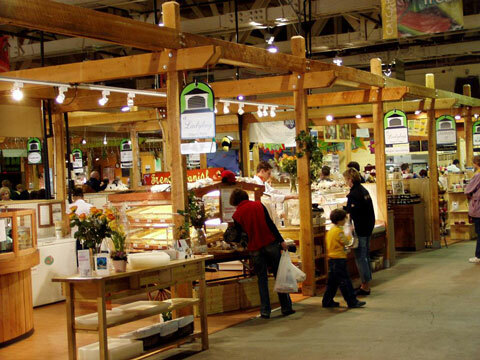 They have all sorts of products: meats, produce, dairy, GF, exotic, baked goods, florists, etc. etc. etc. I think my favorite part- besides all the free samples- is the ‘food court’. They have so many vendors that offer a variety of yummy things that you can sit and enjoy. Unless you go on Sunday afternoon, you’ll most likely be entertained with shrieking children and frazzled parents. 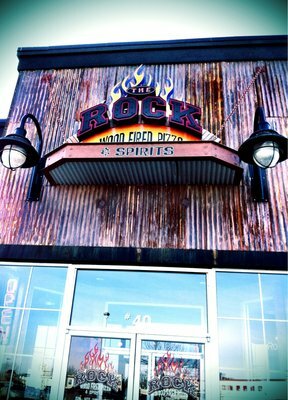 The Rock- Good pizza. It’s a chain restaurant from the states, but they still make a mean pizza that doesn’t feel ‘chain-y.’ From our experience, the staff is so-so and we’ve recently resorted to taking home our order. Anejo- some amazeballs margaritas. Cool vibe. Great food. Down side: $14 for guacamole made with only two avocados. Another downside: margaritas are small. Upside: they play movies via projector up on the brick wall, and there’s a cool upstairs space. And lots of tequila. Definitely get the tacos. In all varieties. Una- PIZZA NOM NOM NOM. I have heard from several people that this place was amahhhhhhhzing and they were right. 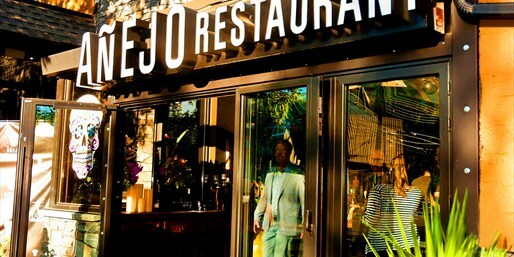 The food is fantastic and the service is great. The restaurant is tiny and narrow, so it can make for some awkward seating (we were put up at the counter by the prep stations, just in front of the bathrooms). Nothing a bottle of wine can’t fix! Another bonus: since they don’t take resos, they take your phone number and suggest hitting the bar next door (National!) to wait for a table. Not a bad way to spend your waiting time. I know I’m probably missing a few, but these are the front runners (in my opinion).